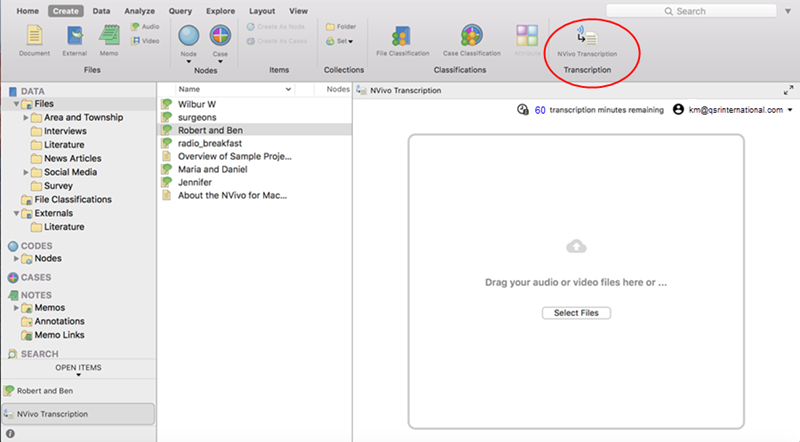 Drag and drop your media files into the transcription box, or click Select Files to choose them. When a transcription begins, the number of minutes it requires is subtracted from your remaining transcription minutes. This total is also refreshed every fifteen minutes. If you have insufficient minutes of transcription time remaining, when you click Transcribe you will have the option to buy more transcription credits. Clicking this link will take you to the myNVivo payments page where you can purchase more transcription credits.